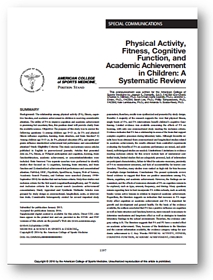 A new research study was recently published by the American College of Sports Medicine: Physical Activity, Fitness, Cognitive Function, and Academic Achievement in Children: A Systematic Review by Joseph E. Donnelly, Ed.D, FACSM (Co-Chair); Charles H. Hillman, Ph.D. Co-Chair; Darla Castelli, Ph.D.; Jennifer L. Etnier, Ph.D., FACSM; Sarah Lee, Ph.D.; Phillip Tomporowski, Ph.D., FACSM; Kate Lambourne, Ph.D.; and Amanda N. Szabo-Reed, Ph.D. Physical activity has an impact on students in the classroom. However, there are still questions about how best to incorporate physical activity in the classroom. Physical activity is important for growth, development, and general health. Physical activity has a positive influence on brain structure and function. To find learn more about this and other active learning research, go to our research page. 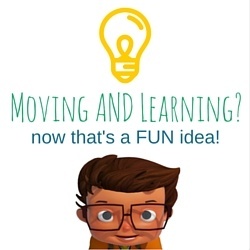 Looking for new way to integrate movement in your classroom? Get a free trial of Walkabouts to get your students moving and learning!